But in fact the people are wiser than their elected representatives in the European Parliament and elsewhere. For they intuit the truth: with all its increased powers it still makes no difference to Europe, and in Europe, whether and how the people vote for the European Parliament. The problem is not the quality of Parliamentarians (which is the same as in national politics, ranging from the superb to the laughable), nor gravy trains or anything of the sort. It is, I believe, and as I have argued ad nauseam, including in these pages, structural, deriving from the very design of governance in the EU. In essence, the two primordial features of any functioning democracy are missing – the grand principles of accountability and representation. As regards accountability, even the basic condition of representative democracy that at election time the citizens ‘can throw the scoundrels out’ – that is, replace the government – does not operate in Europe. The form of European governance, governance without government, is such that there is no ‘government’ to throw out. Dismissing the Commission by Parliament is not quite the same, not even remotely so. Startlingly, but not surprisingly, political accountability at the EU level is remarkably weak. There have been some spectacular political failures of European governance: the embarrassing Copenhagen climate fiasco; the weak (at best) realization of the much touted Lisbon Agenda; the very story of the defunct ‘Constitution’, to mention but three. At times of failure national politicians can sanctimoniously point to ‘Europe’ and at the European level responsibility for any failure is so entangled between Commission, Council and Parliament with their respective ‘Presidents’ that somehow political responsibility is never claimed. Failure is always an orphan. It is hard to point in these and other instances of failure to any measure of political accountability, of someone paying a political price, as would be the case in national politics. In fact it is difficult to point to a single instance of accountability for political failure as distinct from personal accountability for misconduct in the annals of European integration. This is not, decidedly not, a story of corruption or malfeasance, but one of structural weakness. My argument is that this failure is rooted in the very structure of European governance. It is not designed for political accountability. 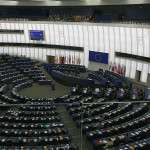 In a similar vein, it is impossible to link in any meaningful way the results of elections to the European Parliament to the performance of the political groups within the preceding parliamentary session, in the way that is part of the mainstay of political accountability within Member States. Structurally, dissatisfaction with ‘Europe’ has no channel to affect, at the European level, the agents of European governance. Likewise, at the most primitive level of democracy, there is simply no moment in the civic calendar of Europe when the citizen can influence directly the outcome of any policy choice facing the Community and Union in the way that citizens can when choosing between parties which offer more or less sharply distinct programmes at the national level.The political colour of the European Parliament only very weakly gets translated into the legislative and administrative output of the Union. The ‘political deficit’, to use the felicitous phrase of Renaud Dehousse, is at the core of the democracy deficit. The Commission, by its self-understanding, linked to its very ontology, cannot be ‘partisan’ in a right-left sense; nor can the Council, by virtue of the haphazard political nature of its composition. Democracy normally must have some meaningful mechanism for expression of voter preference predicated on choice among options, typically informed by stronger or weaker ideological orientation. That is an indispensable component of politics. Democracy without politics is an oxymoron. And yet, that is not only Europe, but it is also a defining feature of Europe – the ‘non-partisan’ nature of the Commission – that is celebrated. The stock phrase found in endless student text books and the like, that the supranational Commission vindicates the European interest, whereas the intergovernmental Council is a clearing house for Member State interests, is, at best, naïve. Does the ‘European interest’ not necessarily involve political and ideological choices? At times explicit, but even if implicit, always present? Thus the two most primordial norms of democracy, the principle of accountability and the principle of representation are compromised in the very structure and process of the Union. Against these structural defects in European accountability and representation it should surprise no one, least of all Members of the European Parliament, that voter turn-out is in decline, reaching historical lows. 2014 offers for the very first time the prospect of meaningful change. The idea has been in the books for decades (! ), including from the pen of your own Editor-in-Chief. But good ideas that remain in books are just such. They collect dust together with the books which contain them. Credit thus should go to the indefatigable and truly admirable Martin Schulz, the current President of the European Parliament, not only because of his verve and astute political antennae, but because in some ways he is a true European politician, not an ex-national leader sent out to graze in Brussels. He rose to the position of President of Parliament because of his work there, gaining the respect of his colleagues in all corners of the House. The reason for my praise is that he has announced that he is ‘running’ for the office of President of the European Commission in the next elections to the European Parliament – as the yet-to-be-confirmed candidate of the European Social Democrat family in Europe. This is an important ground-breaking move. If all works out well, the other ‘families’ (the current nomenclature for nascent European parties) will field their respective candidates. Some have, but we are waiting for a formal decision by the European Democrats (aka the old Christian Democrats) the largest centre-right family. The idea is simple: when voting for the European Parliament voters will, effectively, be voting for the next President of the Commission. It will be impossible, it is argued convincingly, for the European Council to override such choice ‘by the people(s)’ and impose one of their back-room, non-transparent, rabbit-out-of-the-hat choices on Europe. The potential importance for European democracy of this development, if it is realized, is as great or greater than anything proposed in the defunct Constitution. And interestingly and significantly, it can happen without any changes to the current treaties, demonstrating, yet again, the primacy of politics over law. It will not only be that voters for the first time will have a choice – but the very organization of the elections with competing candidates will, in and of itself, have the potential of making a huge contribution to the much vaunted and much absent European public space. It will pose real challenges to the media (just think of the challenge of organizing TV debates, now a sine qua non of electoral politics). Good, democracy-enhancing challenges. And much more. The reader does not need me to spell them all out. You note the caution in my assessment: I speak of ‘potential importance’. Why only potential? And I mention risks. What are these? By chance I have attended two presentations by Martin Schulz. He was running for office – make no mistake, with a well-honed stump speech, jokes and all. He emphasized the novelty of choice and he had, too, sensible thoughts on the role of the President of the Commission and on Europe as a whole. He is big on subsidiarity. All good stuff. But herein the weakness of the plan as it is unfolding. There was nothing that Schulz offered which could not, and would not, be endorsed by any mainstream candidate of the European Left, Right or Centre. As a good and busy politician, he came in, campaigned, and then had to leave. As did some MEPs from different parties who were also present. They spoke, we listened. Some things never change …. there was no real time for serious questioning. 1. What in your programme for Europe differentiates you from the other mainstream candidates? How will your Europe, programmatically and policy-wise, be different from the Europe of your Christian Democrat or Green or Liberal opponent? If the contest develops into a European version of motherhood and apple pie – issues on which all candidates essentially agree – the cynical blow to European democracy will be particularly bitter. Politics without ‘politics’ is, as noted above, not democracy. 2. How will you ensure, if elected, that the Commission, of which you will be President, will actually pursue the policy preferences to which you are committed and on which you were elected? Will you be willing to use the powers the Treaty gives you to ensure that at least a majority of Commissioners will share your principal preferences – without whose support your commitments risk remaining a dead letter? 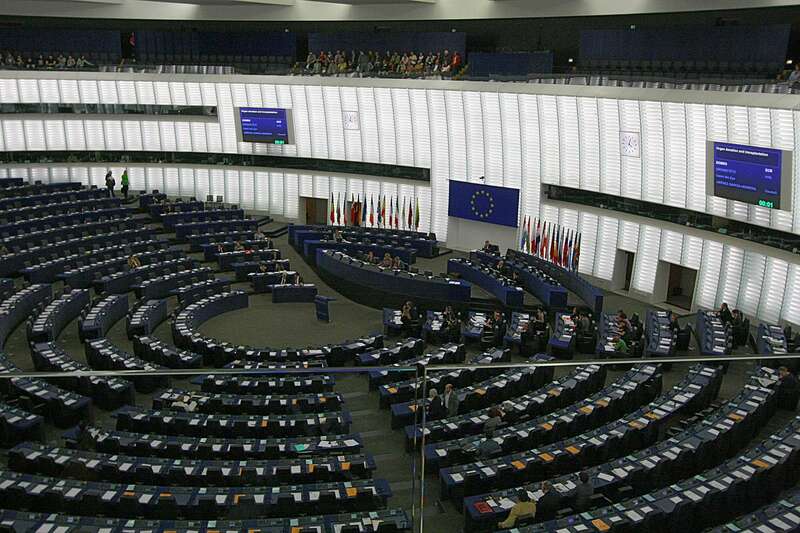 Even if a candidate is willing to take up the challenge of the first question and commit to policy preferences which present a real, rather than beauty contest, choice to the European electorate, this will be of little impact in vindicating the principle of representation discussed above if such preferences, by and large, are not translated into the Commission programme. And that cannot happen if the Commission is not committed, by and large, to similar preferences. The powers of the President alone to shape the policies of the Union are limited in the extreme and it would be a deception to suggest to the electorate otherwise. By contrast, a Europe with a politically committed President, a supportive College of Commissioners and a majority or plurality in the European Parliament represents a new and radically different Europe. And herein, alongside the great promise, lies, too, the equally great risk. The ideological politicization of the Commission and, in its wake, the politicization of Europe as a whole, is an entirely new ball game. It would require not only a huge shift in the institutional culture of the institutions of the Union, but an adaptation of the political culture of the polity as a whole with not insignificant trade-offs. It is terra incognita, in itself a scary prospect. Think of the new paradigm of popular social and political attitudes to Europe in a country whose internal majority is at odds with the Union’s overall political orientation as expressed in EP elections. Nothing new in federal states, but altogether new in Europe. Here, too, the reader does not need me to spell out all the trade-offs. Without minimizing the risks and trade-offs, by inclination I am a risk-taker – the payoff for European democracy is so enticing. Who dares, wins! What a deliciously and invigorating choice for the European leadership. Hold the 2014 elections on a business-as-usual model and risk a further decline in European democratic legitimacy, leaving the only ‘exciting’ campaign platforms to come from the burgeoning radical anti-European parties on the extreme left and right. Go for a political Europe and risk a paradigm shift with many unknowns. So Will it Happen? What Can Go Wrong? 1. A dreaded backroom deal: Schulz is a German politician and it could be tempting for him and for Germans to have Germany work behind the scenes to ensure his victory (by, for example, not appointing a credible candidate to oppose him from the Centre-Right) in a deal which would give the Presidency of the Commission to Schulz (candidate of the Left) and the Presidency of the Council to a politician of the Centre-Right. The media should be extremely vigilant to expose any such deal. All the candidates should avow publicly that they will not be part of such a deal. 2. Even without a deal, the Christian Democrats, for fear of defeat, may not field a candidate, thus not only neutering the politics in the electoral contest but also making the imperative on the European Council to follow the election results in the selection of the President more complicated to say the least. 3. Opting for the beauty contest version of the new paradigm – i.e. different politicians vying for votes not based on real policy choices presented to the electorate but on their overall mediatic success and a centric platform that alienates no one. This is a very likely outcome, especially if some rabid Euro-sceptics take to the road and the centrist candidates end up doing no more than ‘defending Europe’. All things told, a beauty contest would still be an improvement on the status quo. But it has its own political risks – apart from its normative unattractiveness. The electorate might see through it, leading to further disenchantment; or, the electorate may simply not allow it, in the sense of asking the competing candidates questions of the second type indicated above, forcing them to define themselves politically. As for throwing the scoundrels out, I’ve always wondered where that leaves Switzerland, which has had the same government “coalition” for 100 years, except for the more recent addtion of the SVP to the fold.